There are two weapons in the Ving Tsun system, the Luk Dim Boon Kwan (a long pole/staff) and the Baat Jam Doa (butterfly swords). The Luk Dim Boon Kwan is taught after a student reaches proficiency with the Muk Yan Jong (wooden dummy) and is followed by the Baat Jam Doa. 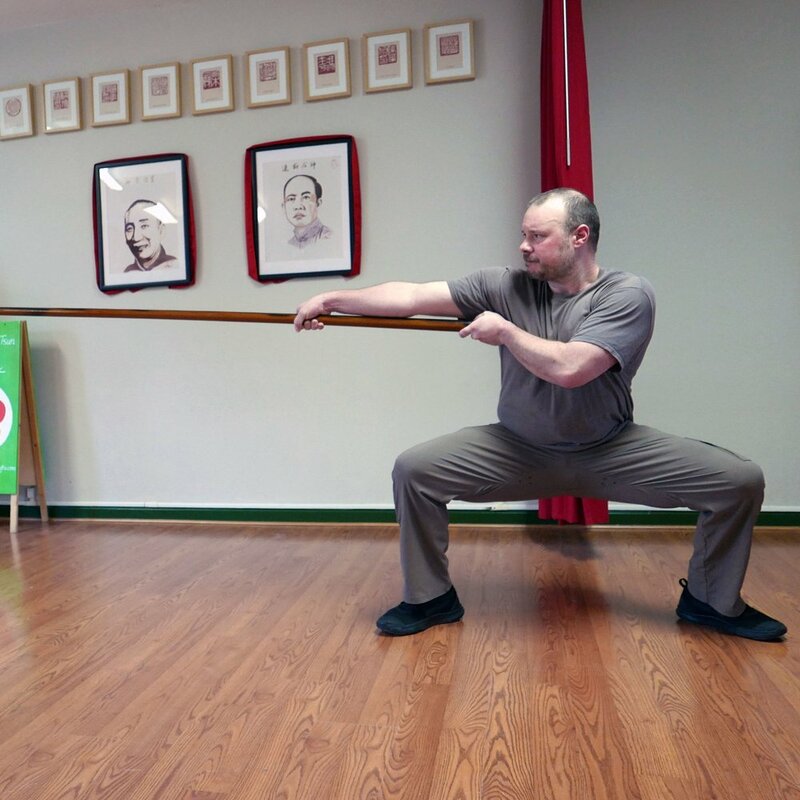 The Luk Dim Boon Kwan (6 1/2 point pole) is a long pole used to develop punching power and further study centerline theory. Training includes Gin Choi (battle punches), Biu Kwan (thrusting pole), Chi Kwan and the Luk Dim Boon Kwan form. Baat Jam Doa (Eight way chopping knives) is the final stage of one’s Ving Tsun training and represents mastery of the system.